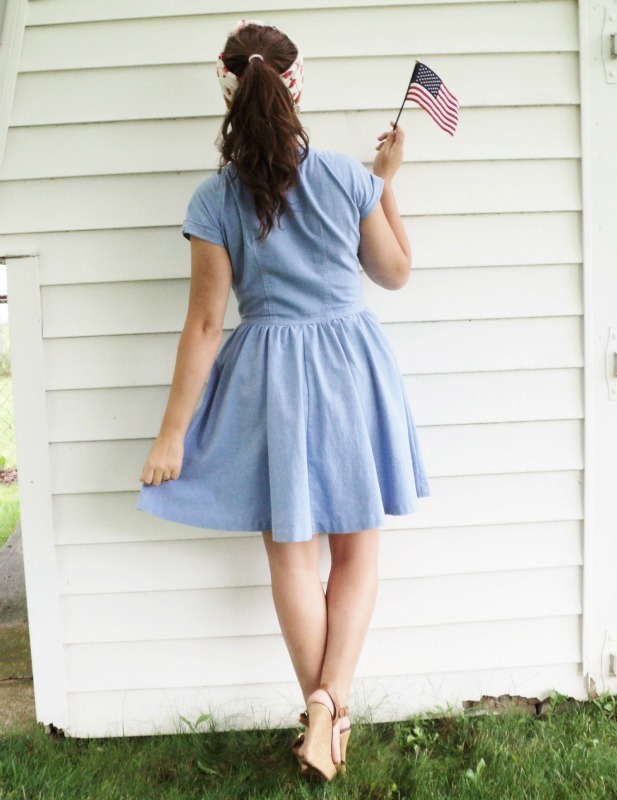 Denim Dress, Tan Wedges, Head Scarf: All thrifted. And, a country that wants to take away your rights as a woman. Yep, you should totally be proud to be an American. Every country had their flaws and America is no different. Regardless, I live in a place where I DO have many more freedoms than other countries. I have that to be thankful and proud for. Lauren, you look lovely. That dress is amazing on you. And seriously, anon? Was it really worth the effort posting that? Honestly, some people. Hope you had a very happy 4th, Lauren! Or gays! Let's not forget about them they definitely can't be who they want in terms freedom to love who they want. Some don't even have the right to life without health insurance. MERICA. What a simple and cute look! 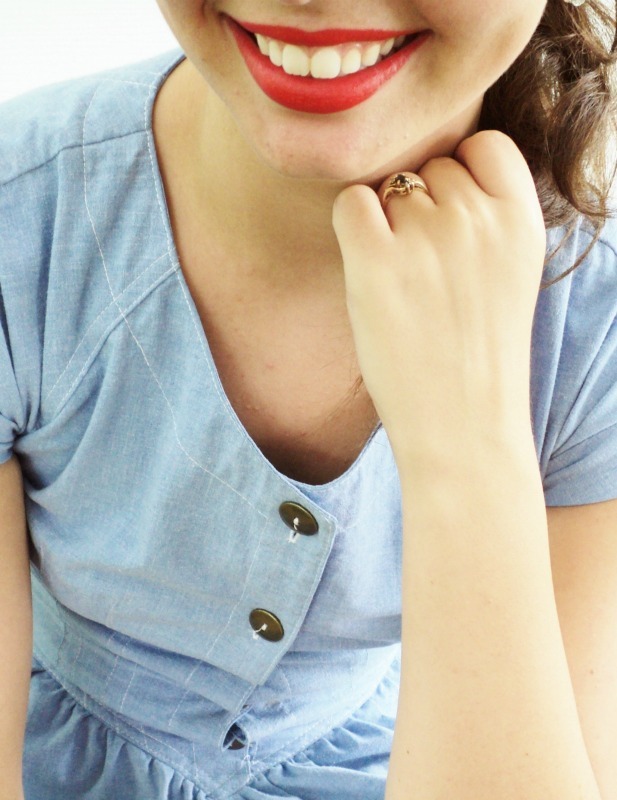 I love a good chambray/denim dress. It's definitely pretty American! I love your head scarf too! seriously, anon? I'll be the first to admit that 'murica has it's problems (gosh, so many problems). but we have more freedom here than most other countries! And that, I'm thankful for. 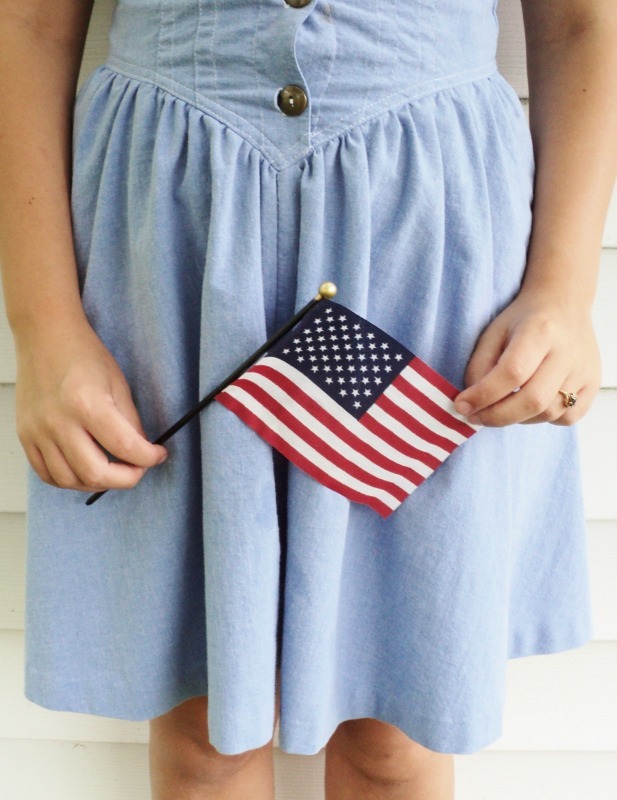 What a perfect outfit for the 4th of July! I hate that people can post anonymously, because they write obnoxious things like that. No country is perfect, and America is far from it, but we are much less oppressed than other countries and it is completely okay to celebrate our country and the freedoms that we do have. Anyway, what I was going to say before reading that was going to say to Lauren that your dress is the cutest! Oh Lauren, you look so lovely!! 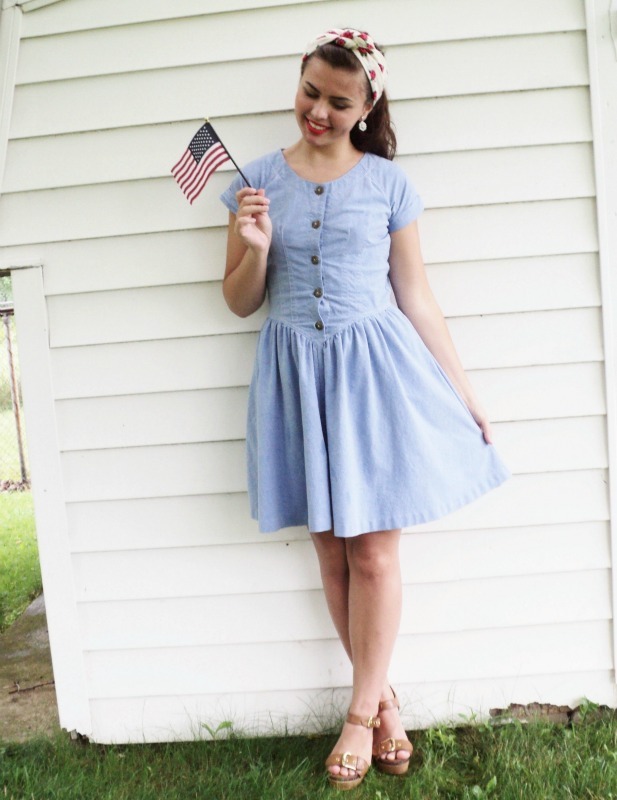 Obsessed with this denim dress on you. Hope you had a wonderful holiday (and ew to that anonymous comment!). 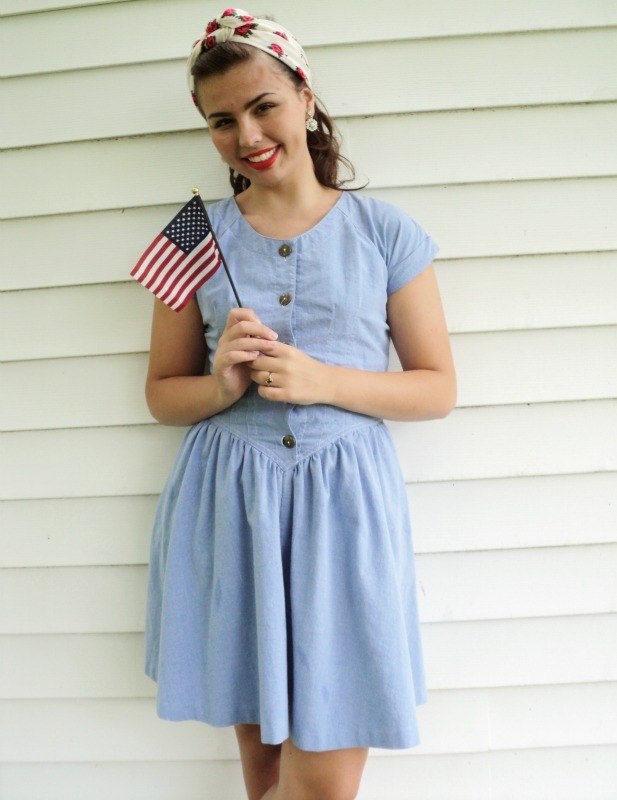 Hope you had a great Fourth of July dear! 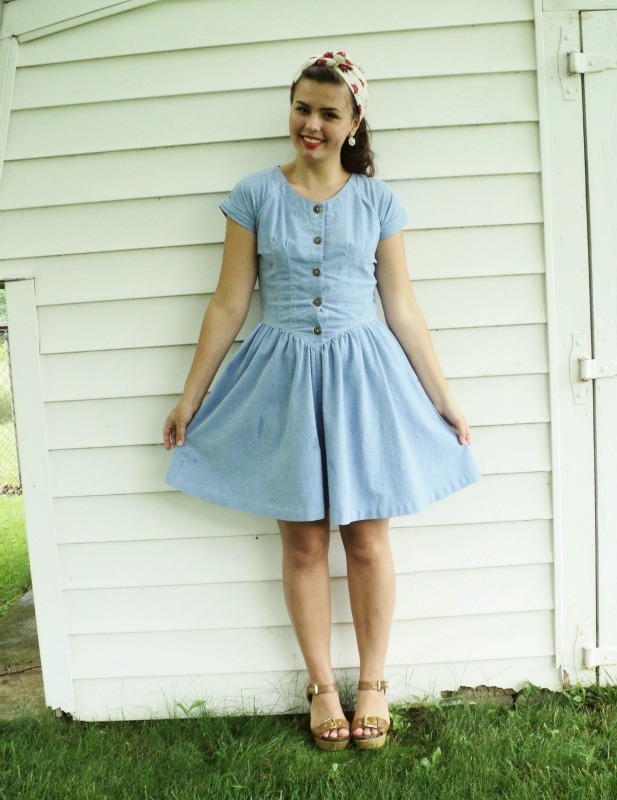 This outfit to too cute, I love your denim dress and your headband! Adorable outfit, Lauren! 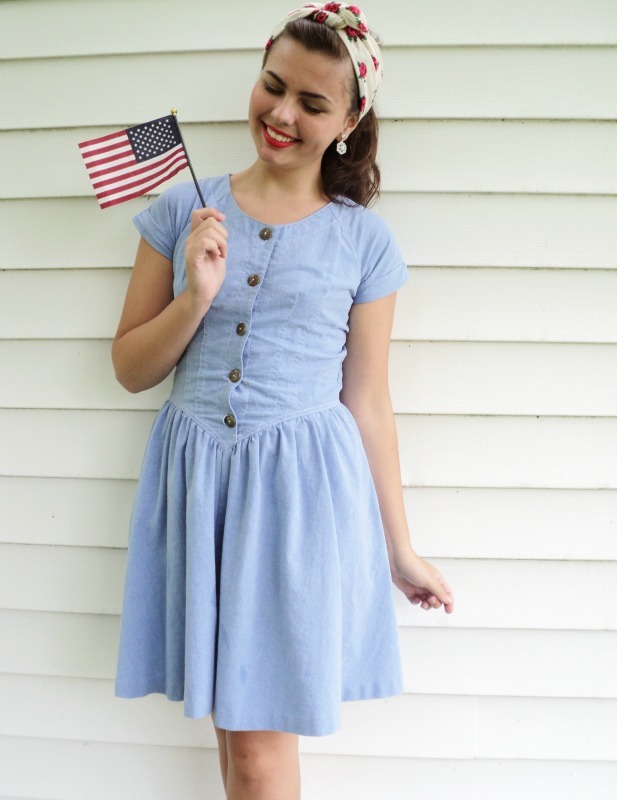 The choice of the white background, for some reason, makes this outfit post feel extra "all-American." Also, I think it's pretty cowardly that someone would say those kinds of comments on your country's national holiday, and anonymously no less. It's not like you were making a political statement either. You are allowed your right to celebrate where you are from. Hopefully they didn't take away from your day - people are awful sometimes. You look so adorable, Lauren! Loving that dress - hope that you had a wonderful holiday! So so cute and patriotic! I love your little flag prop!